Gwendolyn Midlo Hall is Professor emeritus of Caribbean and Latin American history at Rutgers University. Her books and database are Slavery and African Ethnicities in the Americas: Restoring the Links (University of North Carolina Press, 2005); ed., Love, War, and the 96th Engineers (colored): The New Guinea Diaries of Captain Hyman Samuelson During World War II (University of Illinois Press, 1995); Louisiana Slave Database and Louisiana Free Database 1719-1820, in Databases for the Study of Afro-Louisiana History and Genealogy, Compact Disk Publication (Louisiana State University Press, 2000) and web portal www.ibiblio.org/laslave (2001); Africans in Colonial Louisiana: the Development of Afro-Creole Culture in the Eighteenth Century (Louisiana State University Press, 1992) which received nine book prizes; and Social Control in Slave Plantation Societies: a Comparison of St. Domingue and Cuba (Johns Hopkins University Press, 1971). 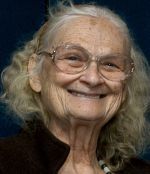 Her awards include Distinguished Service Award, Organization of American Historians (2004); Knight of the Order of Arts and Letters elected by the National Assembly of France (1997); John Simon Guggenheim fellow, 1996. Her B.A. (1962) and M.A. (1964) are from Mexico City College; Ph. D. (1970) from University of Michigan. She lectures in English, French and Spanish, lives in San Miguel de Allende, Mexico and is writing her memoirs.